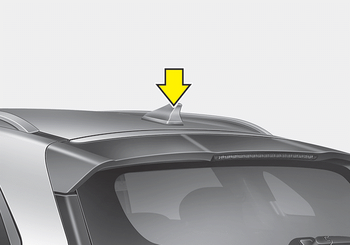 Your vehicle uses a roof antenna to receive both AM and FM broadcast signals. This antenna pole is removable. To remove the antenna pole, turn it counterclockwise.To install the antenna, turn it clockwise.